shaping the investment strategies of major corporations and that will become an essential text in the policy debates about the next century. 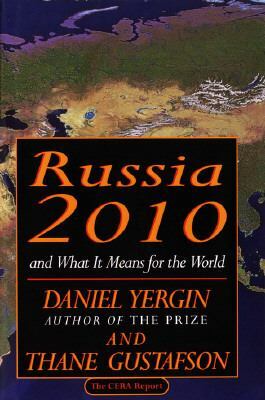 Russia 2010 captures in a timely way the changes shaking Russia and the former Soviet Union after Communism. The result is one of those rare books that not only predict the future but have the power to change it. From the Trade Paperback edition. Daniel Yergin was born in Los Angeles on February 6, 1947. He received a B. A. from Yale University in 1968 and an M. A. and Ph. D. from Cambridge University. Yergin is the chairman of Cambridge Energy Research Associates, the vice chairman of the Global Decisions Group and has chaired the U. S. Department of Energy Task Force on the future of energy research. He is the author of The Prize: The Epic Quest for Oil, Money and Power, which won the 1992 Pulitzer Prize for General Nonfiction and was made into a PBS/BBC series.